The analytics life cycle includes a diverse set of considerations involving the people, processes, culture, data, and technology, and managers needing stellar analytics performance must understand their unique role in the process of winnowing the big picture down to meaningful action. 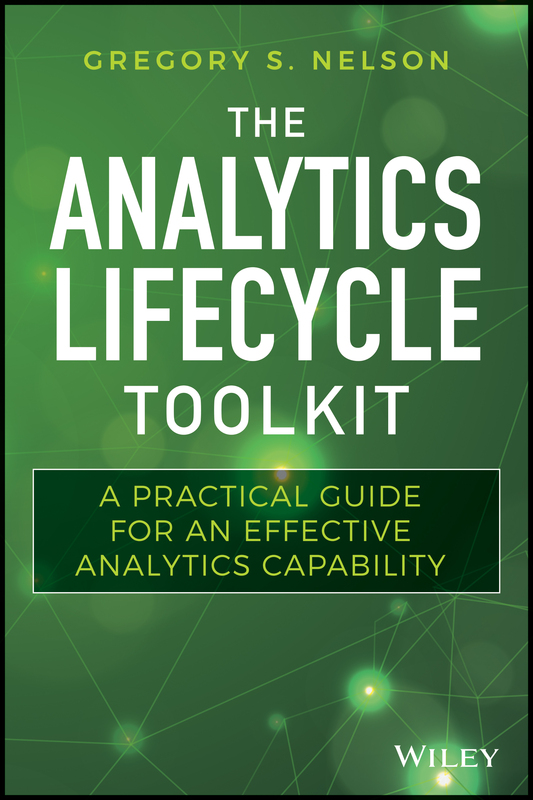 The Analytics Lifecycle Toolkit provides expert perspective and much-needed insight to managers while providing practitioners with a new set of tools for optimizing results. These resources are intended to accompany the Wiley book and are not offered with a warranty. For organizations with 10 or more registrants, group discounts are available. Contact us at here for more information. He also serves as an expert for the International Institute for Analytics and adjunct faculty at Duke University’s Fuqua School of Business. He teaches analytics in both the School of Nursing and at the Fuqua School of Business at Duke University. Greg has a BA in Psychology from the University of California at Santa Cruz, did PhD work in Social Psychology and Quantitative Methods at the University of Georgia, and earned his master’s from Duke University in Clinical Informatics from the Fuqua School of Business. Don't hestitate to reach out to the instructors and ask questions! We love helping people learn about Healthcare Analytics!